With the growing use of smartphones and tablets as the primary device by consumers for their internet and computing needs, mobile security should be one of the top priorities of a user when it comes to device management. Just recently, a vulnerability was discovered that allows malicious hackers to install code on Android phones and take control of them. The bug, known as a master key vulnerability, allows code to bypass the phones security check and directly control the phone. Because of the way Android releases updates and bug fixes (Android does not release it straight to the public, it is first sent to manufacturers), fixing the problem has become a complicated issue. Two apps have already been discovered in China that had been infected using the exploit. The idea of having someone take over your smartphone is alarming, especially if you conduct business on your phone. Unfortunately, hackers are constantly working on ways to gain access to important information, from identity and bank account information to even more subtle things like redirecting your search queries. 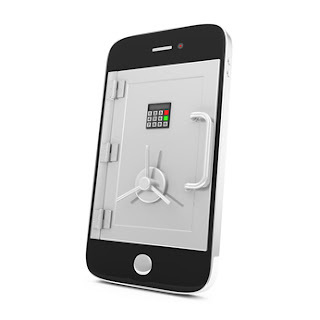 Research from Juniper Networks indicates that targeting mobile devices is the new trend among hackers. The study showed that the creation of malware increased twice over from 2010 to 2011. Hackers know how much information is kept on phones and tablets, and they want access. Lookout offers a free security app for both Android and iOS, and it comes with an option to test the app's features. With this app you can scan your device for viruses and malware, locate your phone if lost and backup important contact info. Lookout also offers a premium version for Android, where you can lock your phone or even wipe it clean remotely—ideal if the device is stolen. This premium version is available for 14 days before you are charged — either $30 per year or $3 a month. Avast is fairly similar to Lookout, but it is only available for Android phones. The interface is somewhat easier to use, but the app is missing the backup feature found on Lookout. One extra feature Avast offers is the ability to trigger a siren on your phone remotely. So, in addition to locking or wiping your data, you can make it very uncomfortable for thieves to hold on to. That, or find it under the couch cushions. BlackBerry now offers its security know-how to Android and iOS users as well. Work Spaces is a bit more robust and business-oriented than some of these other apps: It isolates all business functions on a user’s device, creating an environment where business users can conduct important work while remaining secure. It even prevents employees from copying and pasting from the work area of the phone into the personal area. The app is free for phone users, but companies must already have a BlackBerry Exchange Server in place for the app to work. The server allows the company to authenticate all users on the system. F-Secure offers a solid Android protection package. It performed exceptionally well when tested by an independent testing lab. It takes care of viruses and offers parental controls for moms and dads. The initial app is free, although the premium subscription runs $39.99 a year. This Android app offers the most basic type of security for $1 a month: password management. It keeps your passwords and logins safe, and fills them in for you as you go. Keep your mobile device safe, and it will help you keep safe too—improvements in the security industry now enable you to use your mobile device to protect your home and possessions. You can use your smartphone, tablet or laptop to monitor your home from wherever there's an Internet connection and receive security updates and alerts via text or email. Meaghan is the CEO of a small PR firm on the East Coast. She loves running with her dogs on the beach, sailing and reading about the tech industry.